"Andrew Lloyd Webber has entered his second childhood, and it turns out to be a good career move. For his latest offering, “School of Rock the Musical,” which opened with a deafening electric twang at the Winter Garden Theater on Sunday night, this lordly British composer has been hanging out with fifth graders. Youth, it would seem, is rejuvenating. "Being a freak is virtually the new normal, so the timing couldn’t be better for the thrilling Broadway revival of Side Show that blazed open Monday night at the St. James Theater. The musical by Bill Russell and Henry Krieger, about conjoined twins searching for love and fame, or maybe just a half-measure of happiness, seems eerily appropriate for an era in which oddballs, outliers and anybody with a desperate need for the spotlight — and a way with a webcam — can achieve celebrity of some kind. Application Pending is a new Off-Broadway comedy about the hilariously cutthroat world of kindergarten admissions at a New York private school. 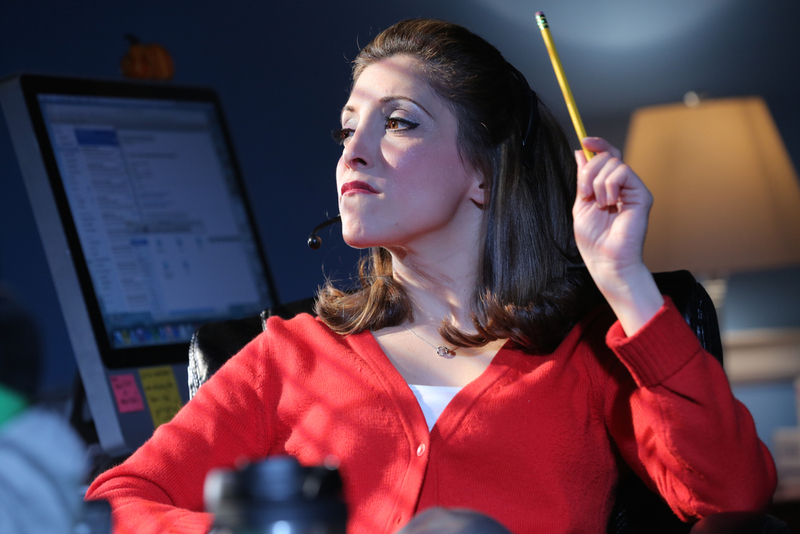 Christina Bianco portrays rookie admissions officer Christine and over forty other roles, including all the wild personalities that she has to deal with on her first day on the job. Christine Evans is a kindergarten assistant at Edgely Prep, an elite Manhattan private school with an acceptance rate that puts Harvard’s to shame. On the day applications are due, Edgely’s head of admissions is ousted in a scandal, and Christine is unexpectedly thrust into the job. With phones ringing off the hook, Christine must balance beleaguered applicants, venal administrators, and an army of parents who will stop at nothing to get their kids in. A timely and incisive comedy, Application Pending pokes loving fun at America’s obsession with getting our children into the school that will not only teach finger-painting but also determine the rest of their natural lives. This play, now at the Westside Theatre, sends up our perceptions about opportunity, how we attain it, and what it ultimately means to be a good parent.